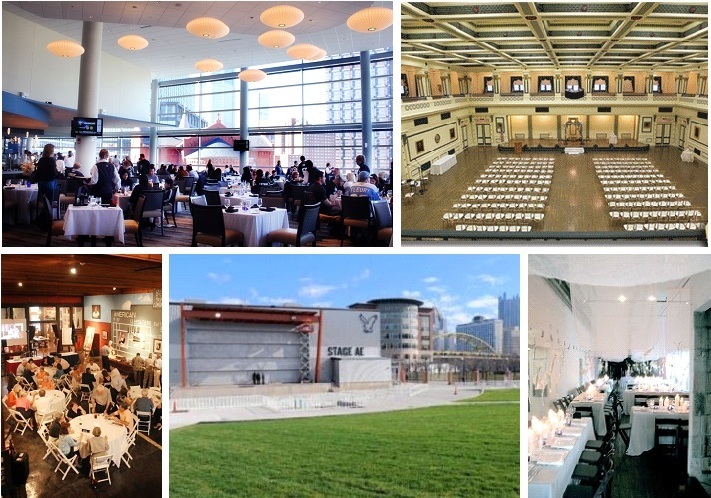 We love the blog I heart PGH and recently they posted creative places to have your wedding. Below, we are sharing our five favorite venues from their list, as well as a few comments of our own. I heart PGH: 1000 Indiana Road Verona, PA info@springwood.org 412-793-7453 About: Sixty acres of wooded Pennsylvania hills, walking trails and wildflower meadows with a glass atrium, gazebo, and walking trails. Hello Productions: Don’t be fooled by this conference center – Springwood feels like a remote retreat surrounded by an abundance of lush, natural landscape. 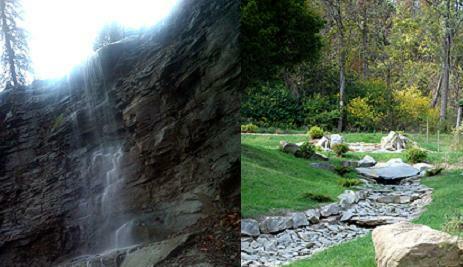 New for 2012 is a 55 foot waterfall, several ponds and a stone-lined stream. I heart PGH: 693 Donegal Lake Road Stahlstown, PA info@oaklodgepa.com 724-593-2913 About: Have an entire three-day wedding weekend at the Oak Lodge. There’s indoor seating at the chapel for up to 120 guests, tables and chairs provided for 150 people, and tiki torches. Main Lodge accommodations for bridal party up to 15 and a luxurious bridal suite with a Jacuzzi, fireplace, views, and a waterfall. 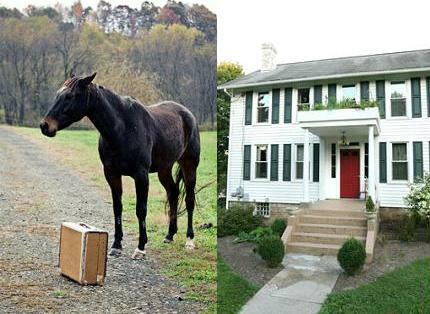 Hello Productions: The Oak Lodge is perfect for the outdoorsy couple who want to spend their whole weekend enjoying the Laurel Highlands region. And what better idea than giving their half-pints of their maple syrup as your favors – love really can be sweet! I heart PGH: 188 Forks Church Road Leechburg, PA info@lingrowfarm.com 724-472-1305 About: A two-story, fully renovated, 1850′s barn, complete with two oversized, covered decks, situated on 40 peaceful acres. 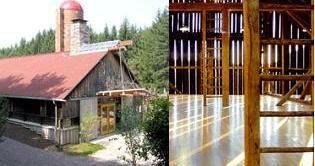 The barn is heated and air-conditioned and if you book an April wedding, you will receive 30% off venue cost. Hello Productions: With plenty of 2012 dates available (and a 30% discount offer on its website), the historic Lingrow Farm is worth considering. Ask about their charming farmhouse that can accommodate up to eight guests – perfect for the bride and bridesmaids the night before the wedding or the bride and groom on their wedding night! I heart PGH: 1491 Mill Run Road Mill Run, PA kandyjohn@paconserve.org 724-329-7802 About: With four different spaces to choose from, The Barn at Falling Water will make for an unforgettable wedding. Hello Productions: Stepping into the renovated barn, you would never know it was once an active dairy farm. The barn has been restored to preserved the integrity of the space but includes modern features such as high-speed internet connection and full a/v capability. Make sure to walk through the courtyard space, perfect for a ceremony or cocktails. And don’t let your guests leave without visiting the famous Fallingwater! I heart PGH: 123 University Place Pittsburgh, PA uclub@pitt.edu 412-648-8213 About: Complimentary wedding night accommodations for the bride and groom, linens and napkins, candlelit mirror centerpieces, personalized service from their event planner. Hello Productions: Their rooms are elaborately decorated with lavish chandeliers and soaring ceilings, making it an ideal place for a wedding reception or grand event. However, don’t forget to ask about the rooftop space – perfect for an afternoon ceremony or evening cocktails! For more unique venue ideas, be sure to check out Hello Productions Website!